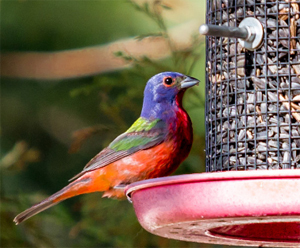 Bird feeding tips, birdhouse basics and landscaping ideas have been brought together in a free online guide, with the goal of helping Oklahomans better enjoy their backyard birds. “This guide was created to help the hundreds of thousands of Oklahomans who watch birds around their home attract even more birds to their backyards,” said Jena Donnell, information specialist with the Oklahoma Department of Wildlife Conservation. The 18-page guide, available here at wildlifedepartment.com, outlines bird feeder designs, seed choices, bird-friendly plants, nest box plans and suggestions for squirrel-proofing your feeders. 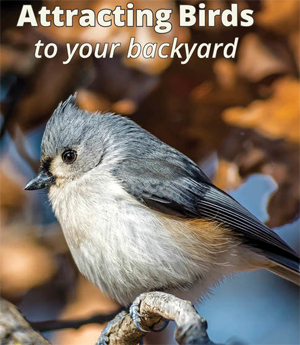 More tips for attracting birds and a variety of other wildlife can be found in Landscaping for Wildlife: A Guide to the Southern Great Plains, available for $10 in the Wildlife Department’s Outdoor Store. This entry was posted in Out & About, State on December 27, 2017 by admin.